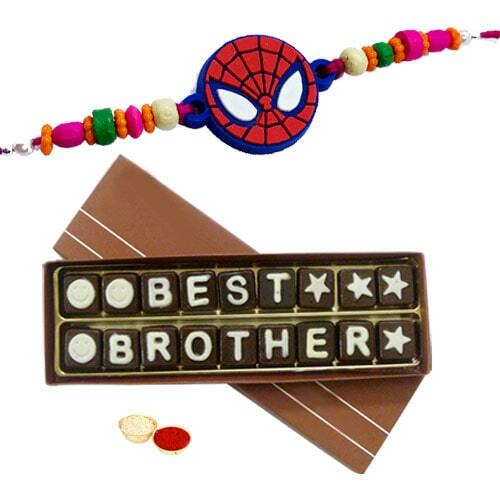 Convey your heartfelt Raksha Bandhan greetings to every one you adore by sending this Irresistible Gift Pack of Best Brother Mellow Chocolates that comes with a free Spiderman Rakhi, Roli Tilak and Chawal to make those people feel more loved. The Pack is stuffed with 18 Pcs Chocolates. The formation of the Rakhi may alter.